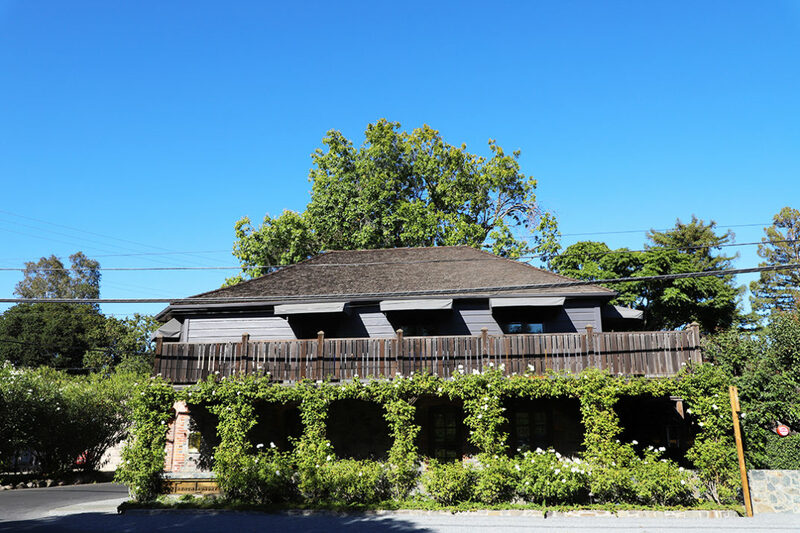 The exterior of The French Laundry, Yountville California. 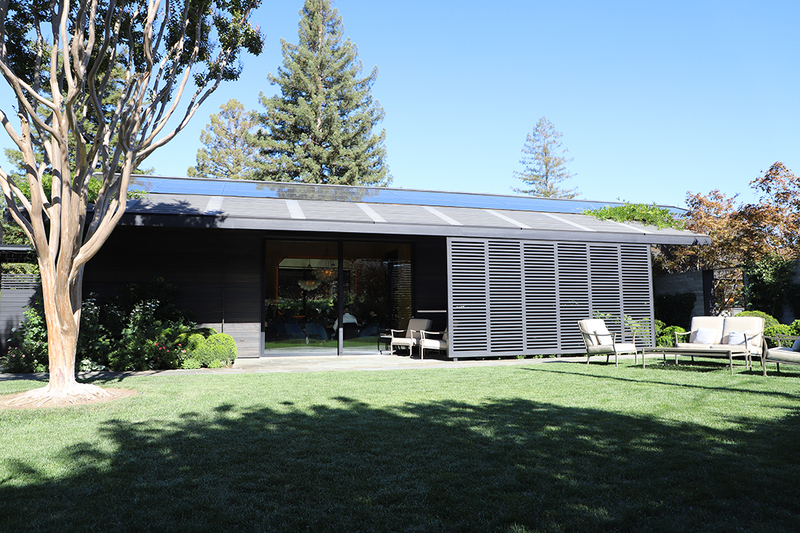 Views of the garden, the private dining room and the cellar which is behind the private dining room. 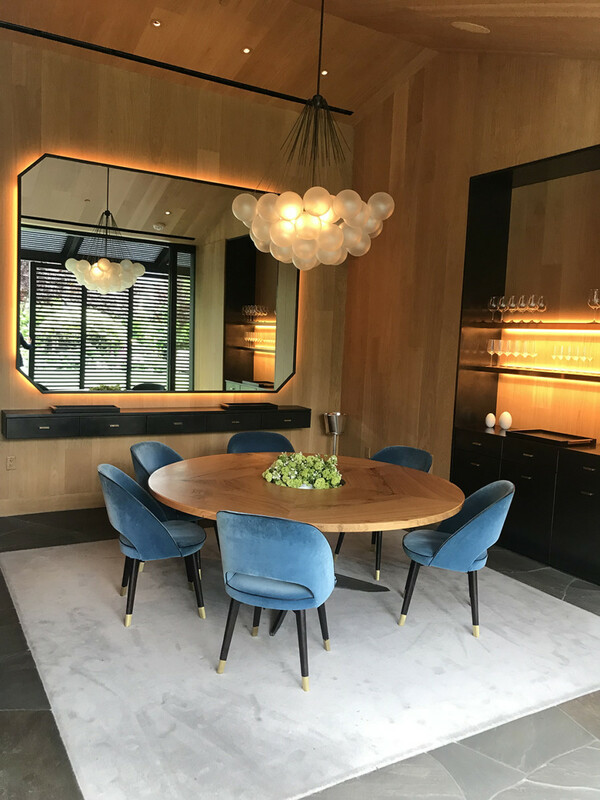 The Private Dining room which I am having my upcoming Birthday party at. 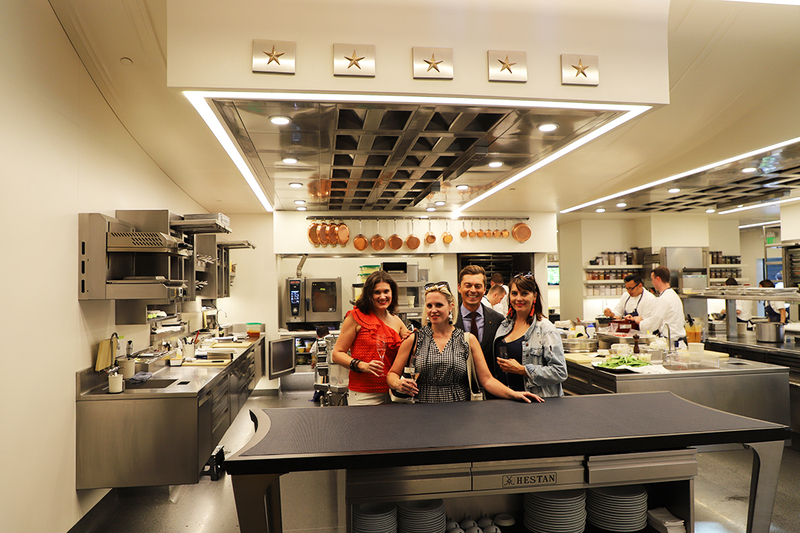 During one of the tours a guest was celebrating their birthday in here and I decided it is the perfect location for a birthday celebration! 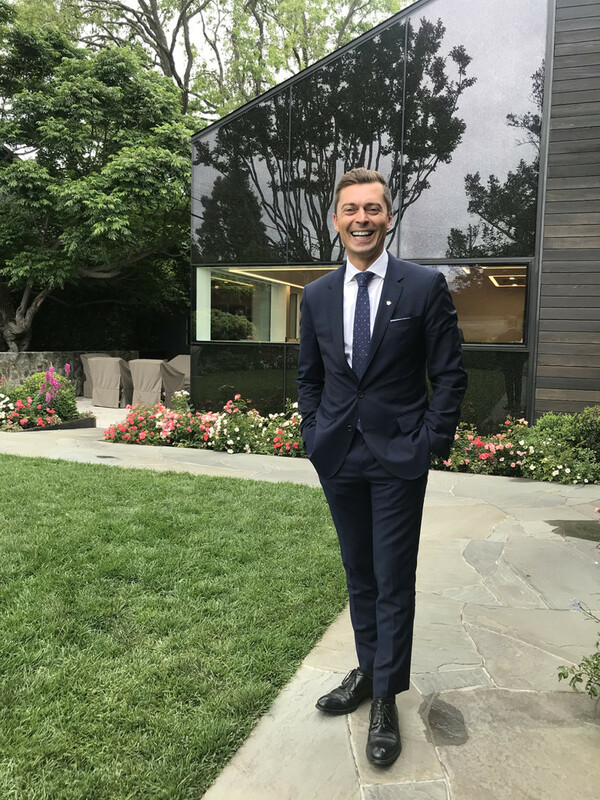 The warm, friendly and charming Anton Denisenko who is the maî·tre d at The French Laundry. We met during my first visit and have been friends since, he’s a very special and talented team member. 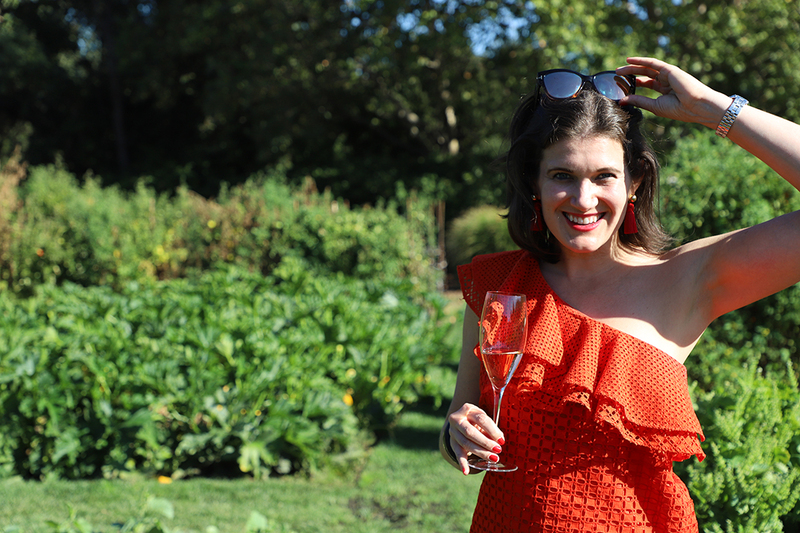 Pre tour Anton welcomed me and my girlfriends in the garden where we sipped on champagne and took in the beautiful views of this restaurant and their outdoor gardens. 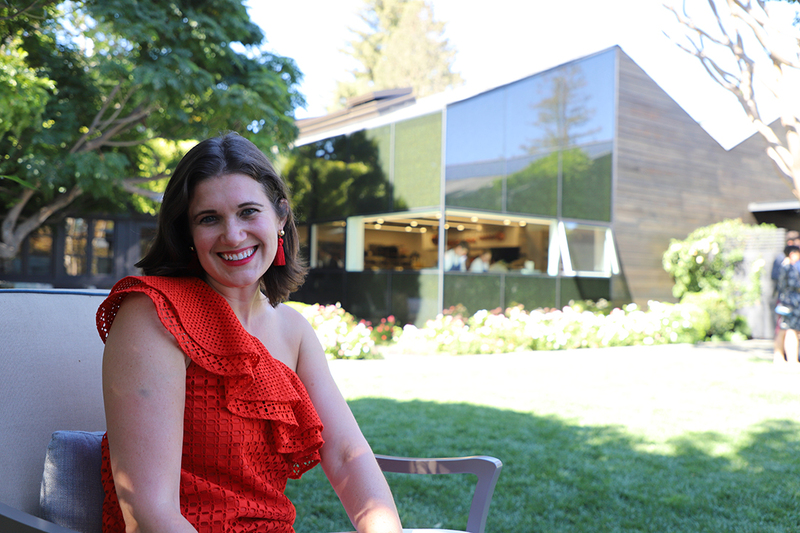 Even if you’re not dining here, (as I wasn’t during this visit) it’s the most magical place to visit, hence why I’m all smiles. 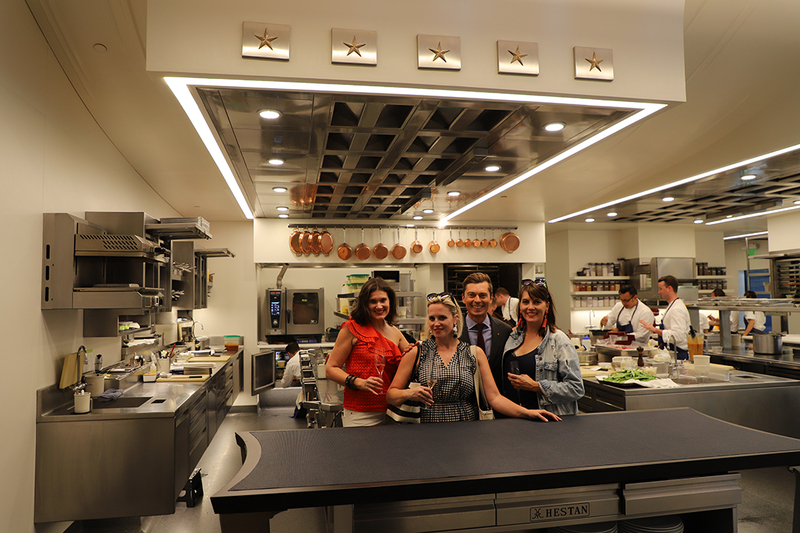 It’s hard to believe my friends and I got to tour this culinary masterpiece. 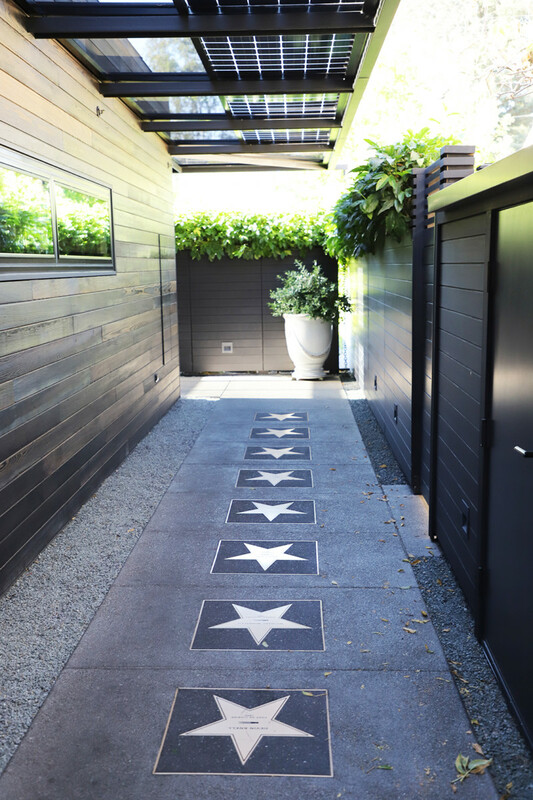 The galley way between the dining room and kitchen as we begin the kitchen tour. Views of the kitchen during service. 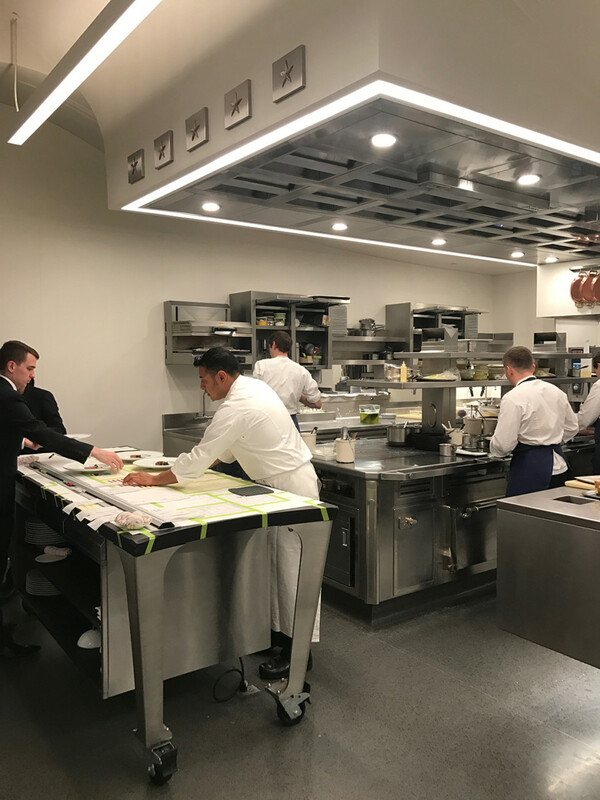 Even though they have a restaurant full of guests what I’ve noticed during each kitchen visit is how calm, organized and well run the team is at The French Laundry. 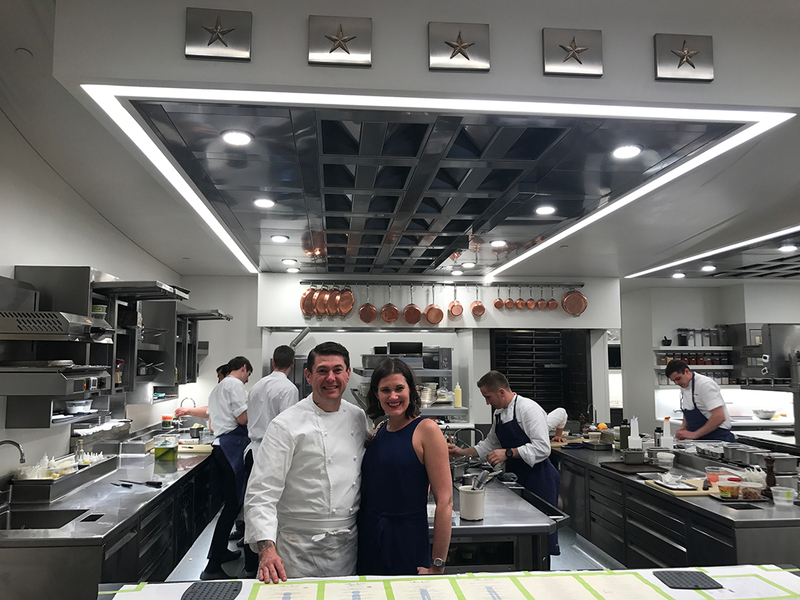 A warm welcome by Chef de Cruisine David Breeden during my first visit to French Laundry for dinner. What a great sport humoring me for these photo’s together! 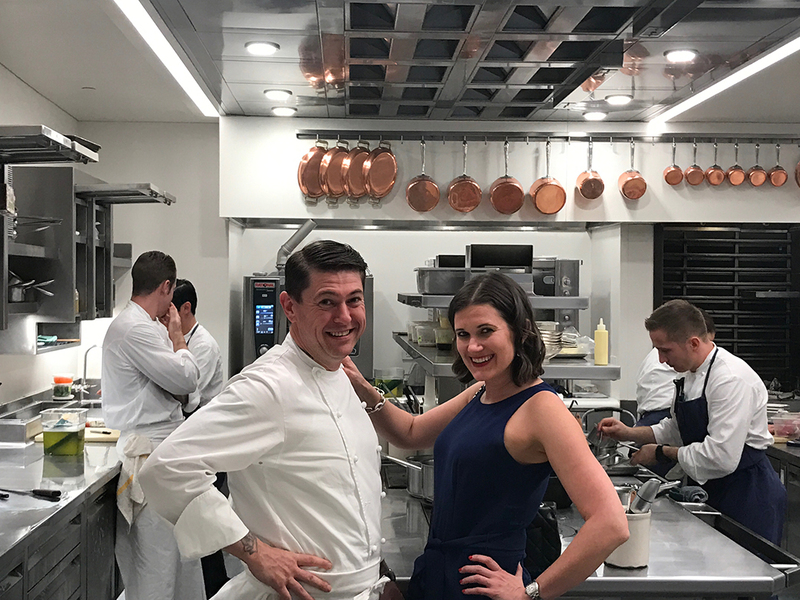 During my second time visiting The French Laundry, Anton showed my lucky friends and I around enjoying a kitchen tour and what has become my obligatory kitchen tour picture. How lucky are we? Thank you Anton at The TFL team….. This visit was in the middle of the afternoon so it was fairly quiet as lunch service was concluding. 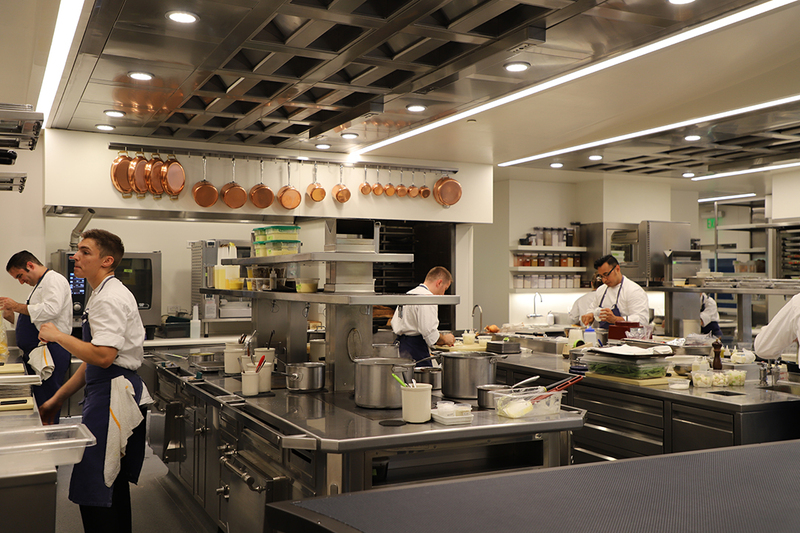 When I visited the kitchen during my first visit dining at The French Laundry (shown above) there were probably 10+ chefs in here hard at work. All smiles with Anton…. And yes, he’s just as friendly, warm and welcoming as his smiley face appears. Heading into the wine cellar for the cellar portion of our tour! 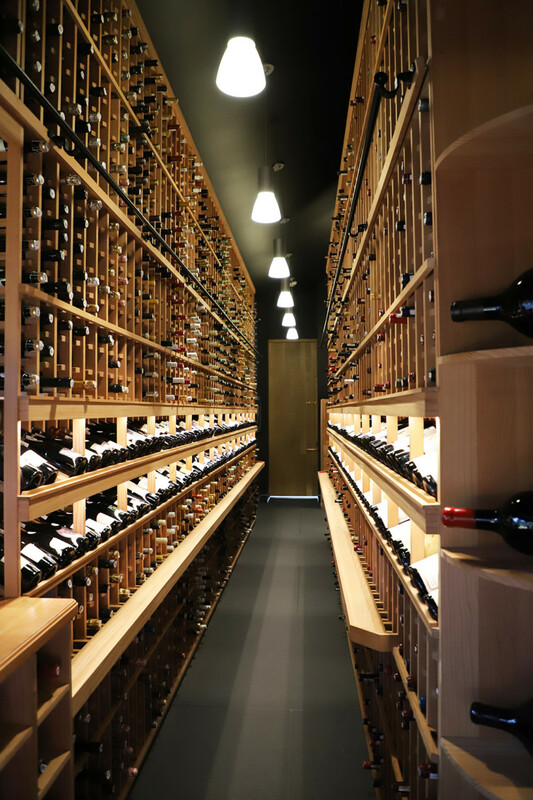 The French Laundry Wine cellar is L shaped and this is one of the two long aisles. 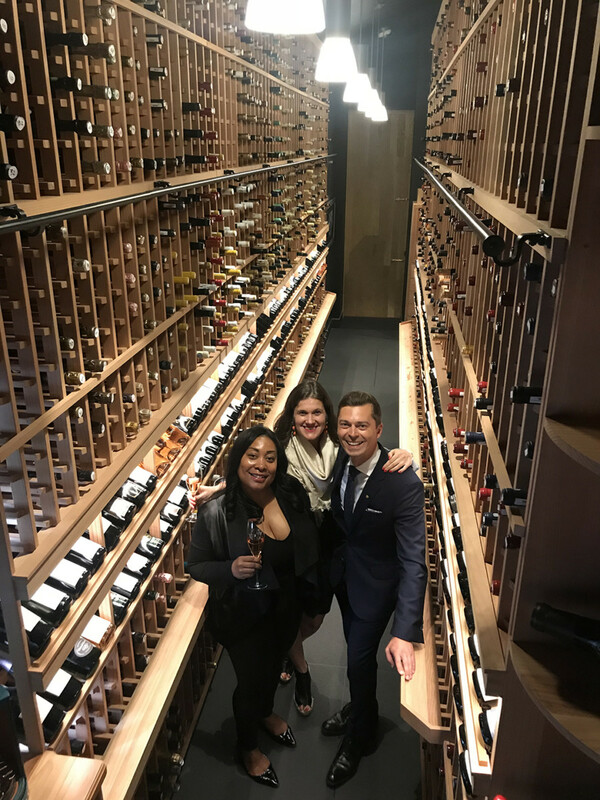 I felt like a kid in a candy store taking in all of the wine and spectacular views of this cellar! 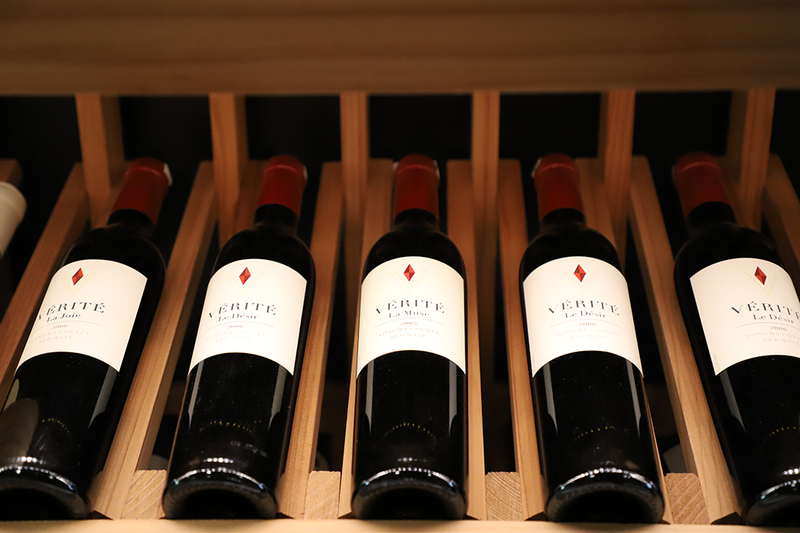 I spotted another brand I adore, Verite Winery on one of the wine shelves. 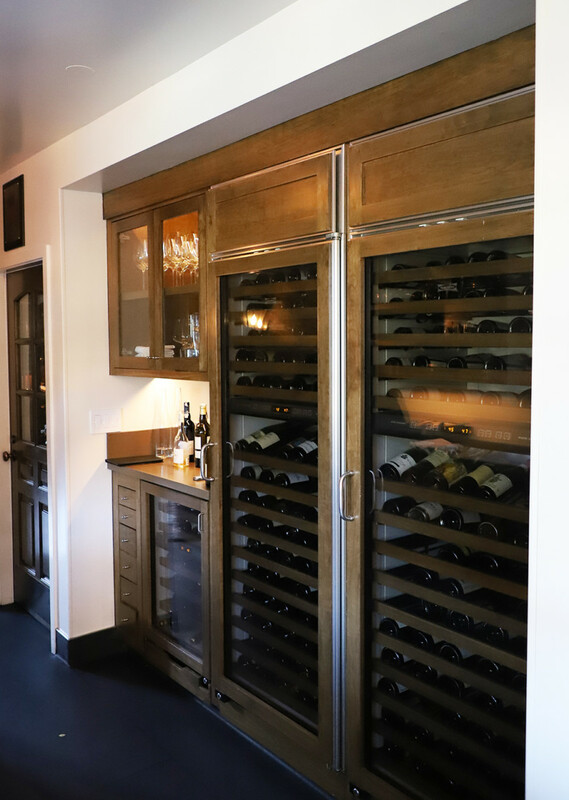 Read more about Verite Wines here. 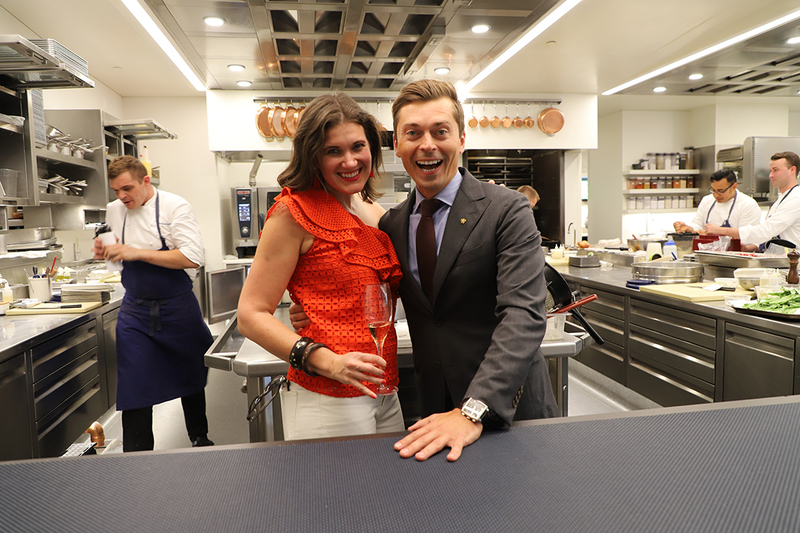 This picture is quite sentimental as Ian (shown above) was one of the Sommeliers who I met during my dinner at The French Laundry and we chatted wine non stop. 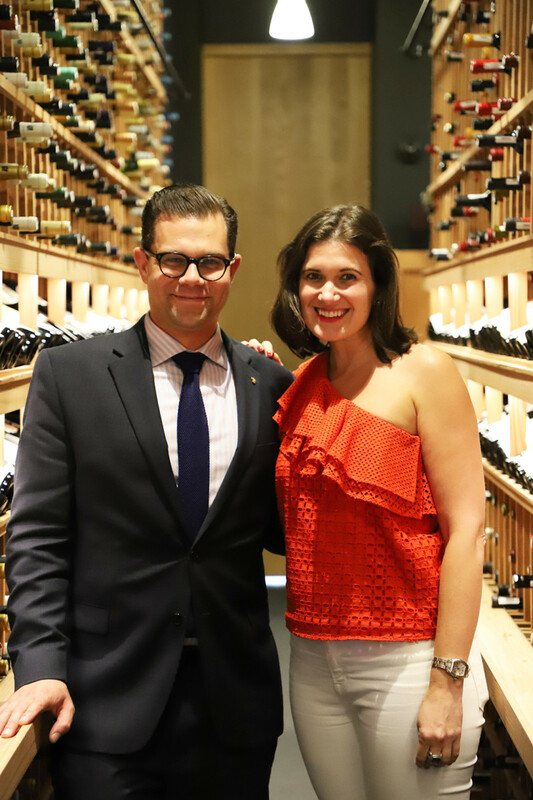 We immediately became fast friends and had similar wine tastes so when I was back touring the cellar it was special to tour the cellar with him. 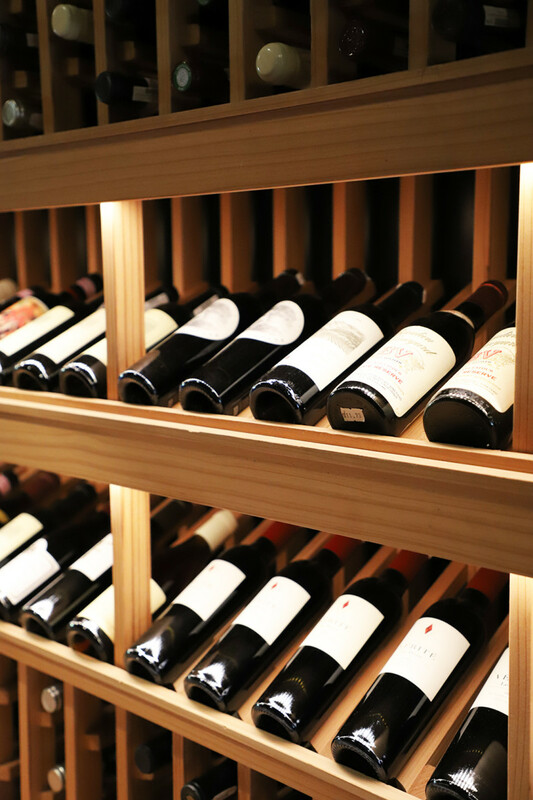 Ian was recently promoted and is now the Head Sommelier at Bouchon, another Yountville Restaurant from Chef Thomas Keller. He’s amazing, say hello if you meet him at Bouchon! 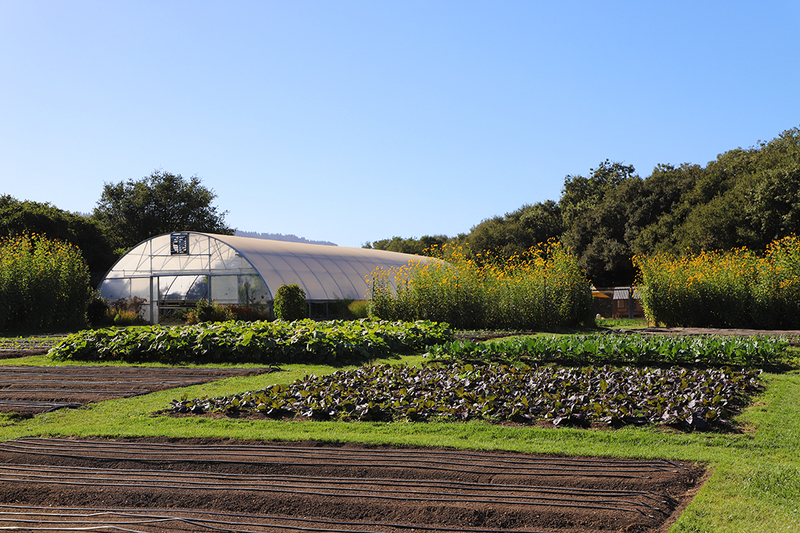 A tour of The French Laundry is not complete without seeing their extensive gardens, located just across the street from the Restaurant. 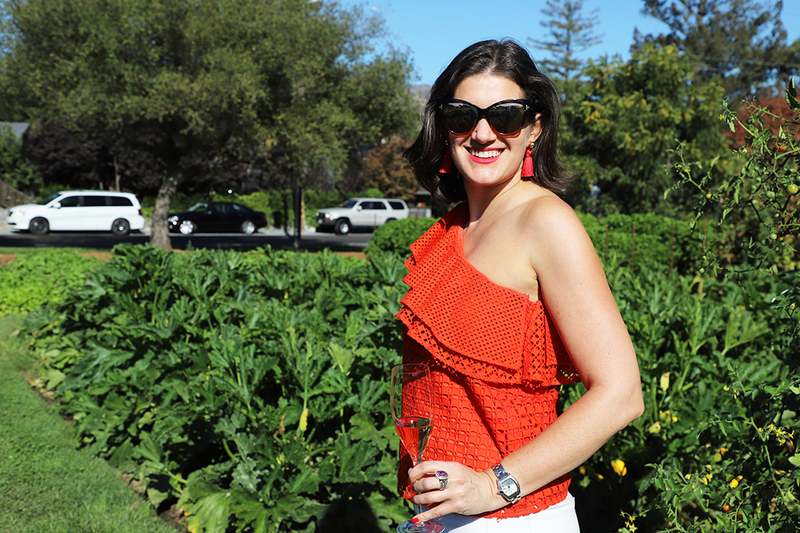 The gardens are open to the public and a fun thing to visit if you’re in Yountville. 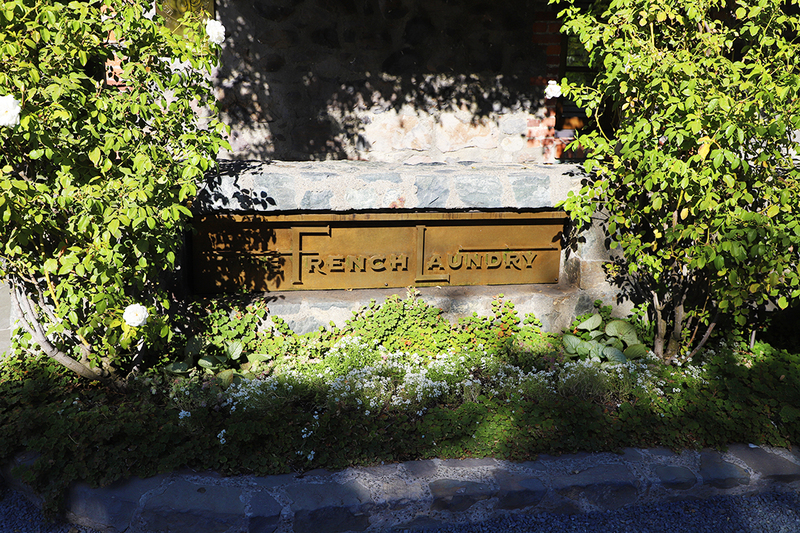 Thanks to the team at The French Laundry for the warm hospitality, amazing tour (actually tours) and fun. I can’t wait to celebrate my next birthday with you and my friends!